Brothers David and Tom Gardner often wear funny hats in public appearances, but they're hardly fools -- at least not the kind whose advice you should readily dismiss. 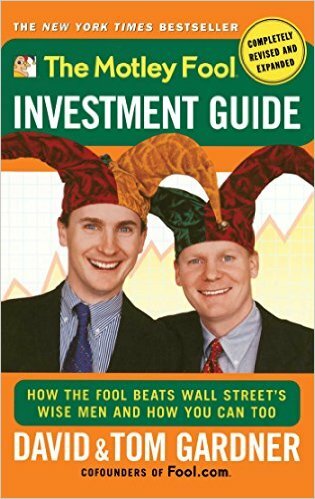 The Gardners are the founders of the popular Motley Fool web site, which offers frank and often irreverent commentary on investing, the stock market, and personal finance. The Gardners' "Fool" really is a multi-media endeavor, offering not only its web content but also several books written by the brothers, a weekly syndicated newspaper column, and subscription newsletter services. Since 2010, this portfolio has returned 99.5%, outperforming the market by 59.7%. Validea used the investment strategy outlined in the book The Motley Fool Investment Guide written by Motley Fool to create our Small-Cap Growth Investor portfolio. The Gardners specialize in searching out stocks of small, fast-growing companies with solid fundamentals, including healthy profit margins, low debt, ample cash flow, respectable R&D budgets and tight inventory controls. A key indicator of a strong stock, they believe, is an earnings growth rate that is greater than the stock's price/ earnings ratio. Wall Street calls this metric the PEG ratio (price/earnings-to-growth ratio); the Gardners call it the Fool Ratio. By either name, it's a great way to separate attractively valued growth stocks from those that are overvalued. The Motley Fool investment strategy will appeal to investors seeking solid growth companies in the small-cap sector of the market.